Bangle is traditional jewelry accessory which is essential for every jovial celebration. 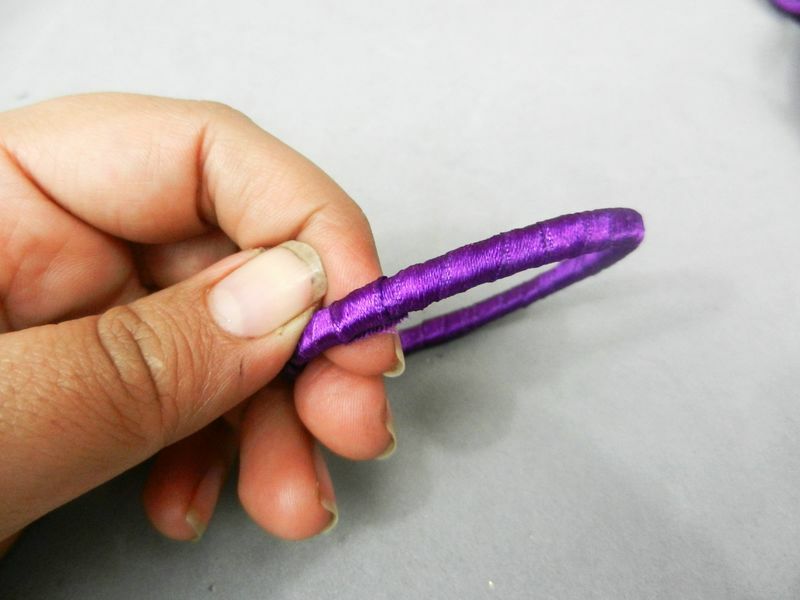 There is hardly any function which is celebrated without the elegant magnificence of bangles. 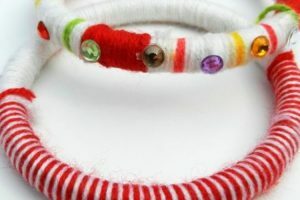 Girls and ladies are worn different colorful bangles to enhance their fetching grace. 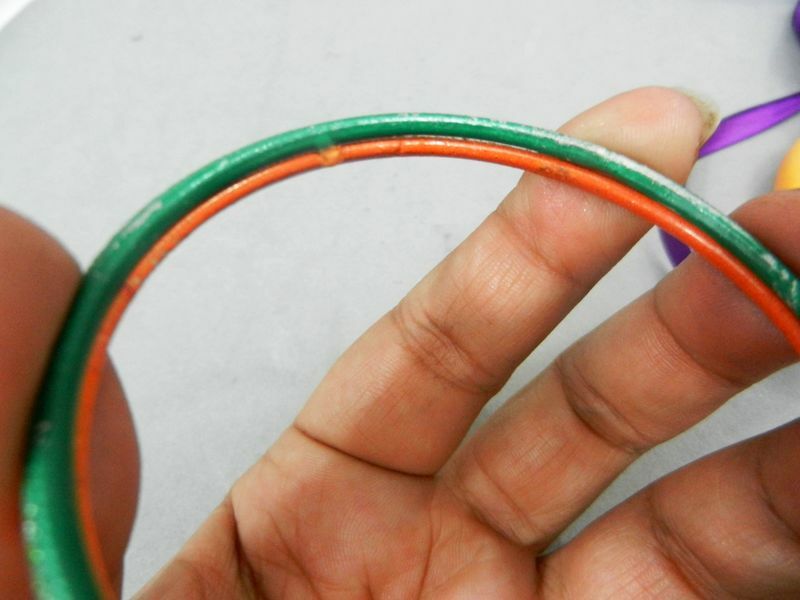 Fancy bangles are easily available in market but you can also crate fancy bangles at home. 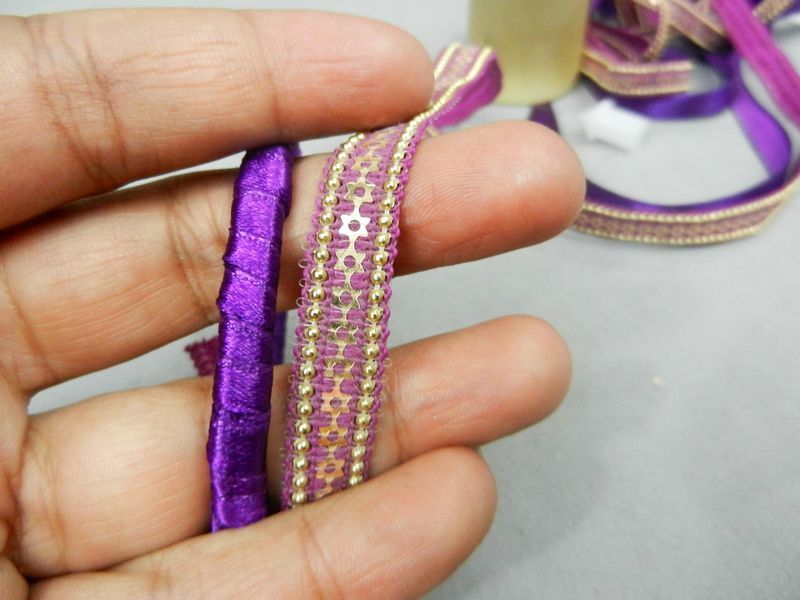 It will not be only reasonable but also more excellent as you can create beautiful charming bangles according to your selected material and colors. 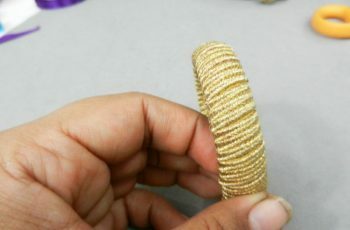 Here we are sharing practical process of making fancy bangles which is tremendously exciting but also highly creative. 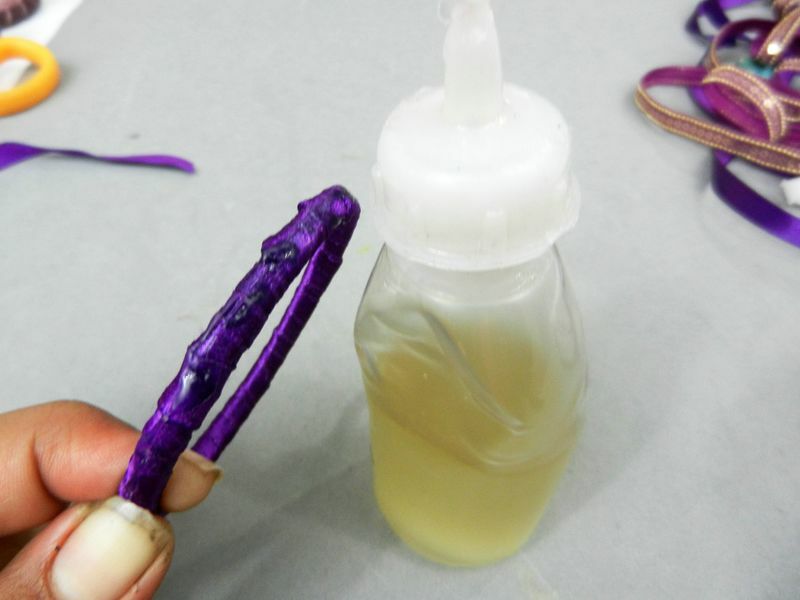 Let’s discuss it by picture in which its practical development is shown. 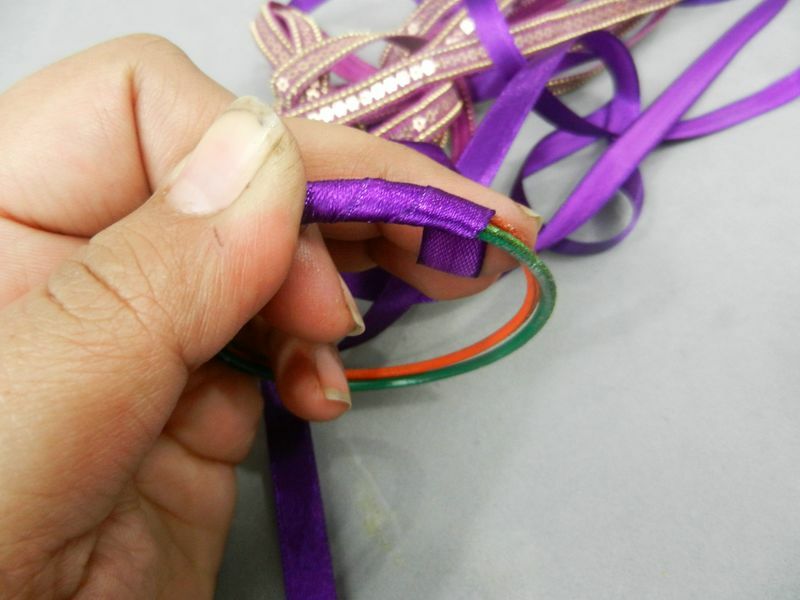 Join two bangles and start it’s wrapping with plain ribbon. 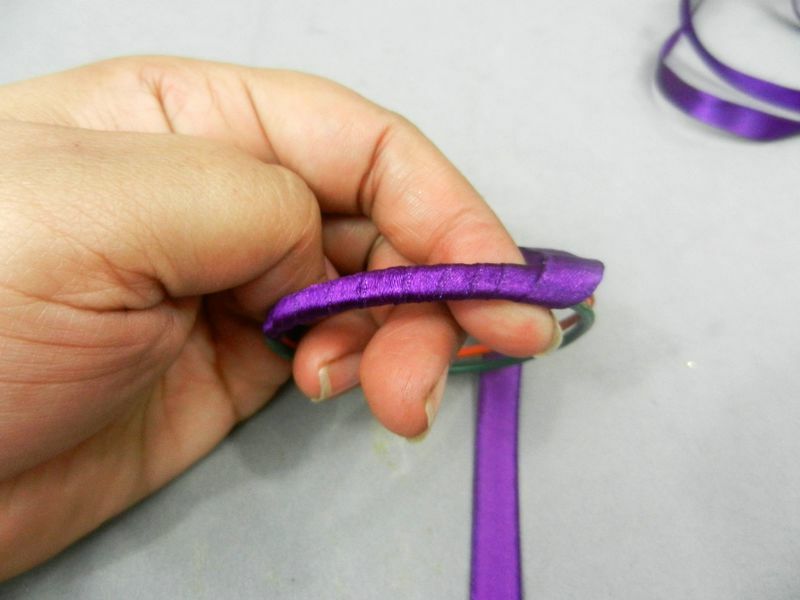 After complete its wrapping, pour some drops of liquid glue at this bangle and attach fancy lace on it. 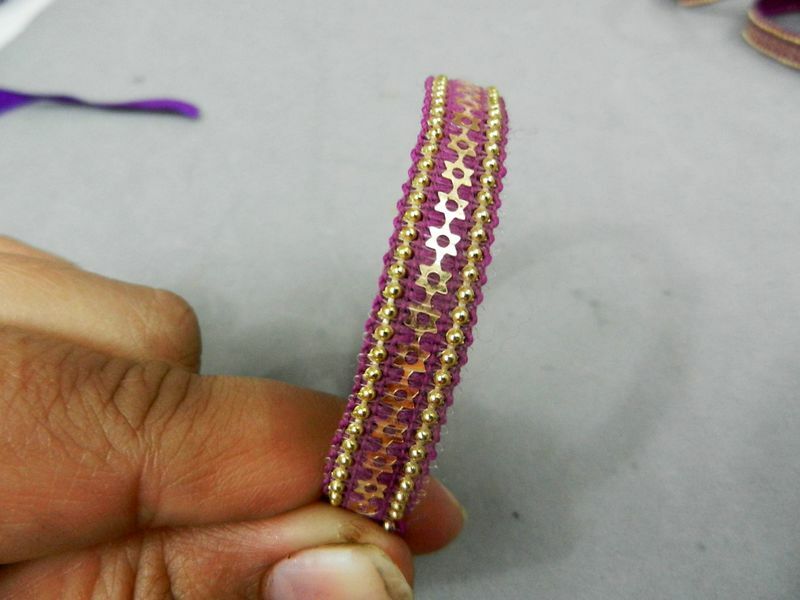 An excellent fancy lace designed bangle will be in hands. You can enjoy classy elegance of these fancy designed bangles at formal occasion. 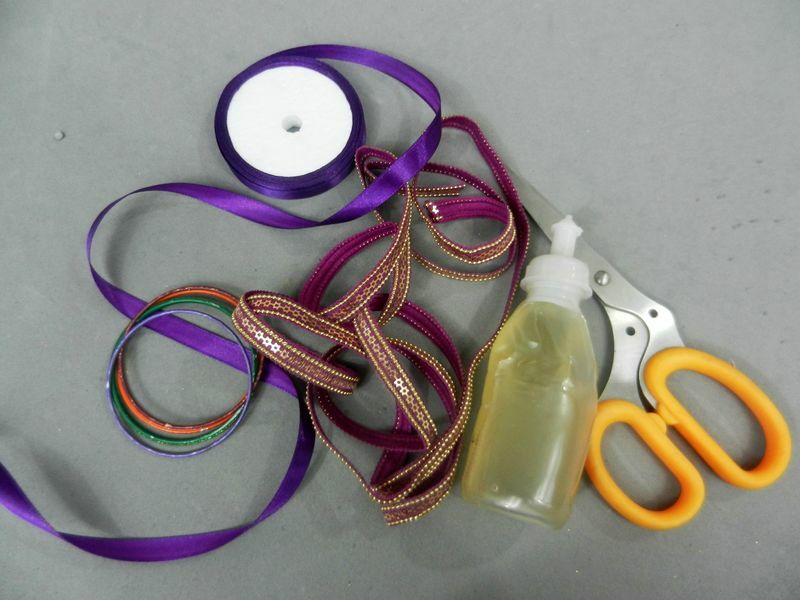 You can crate excellent bangles worth different laces of different colors. It will greatly pleasing and exclusive. For stylish girls, this amazing idea is awesome for enhance their creative ability and to enjoy classy elegance of fancy jangles.